Chasing new customers is hard work. There is a much easier way. It is right in front of you: the customers you already have. It costs five times more to acquire a new customer than it does to hold on to the ones you already have. Turning that loyalty into more sales is often down to old-fashioned courtesy and consideration. Two out of three people say they will spend more with a company that provides outstanding customer service. You probably think you’re already providing great service: 8 out of 10 businesses share that fantasy. The reality is that customers believe they have experienced superior service from just 8% of firms. The top deal breakers are: deception, rudeness, incompetence, inflexibility and lateness. Customers won’t just leave you if you cross those lines, they will also tell on average 24 people how awful your service is. Bad news travels fast. 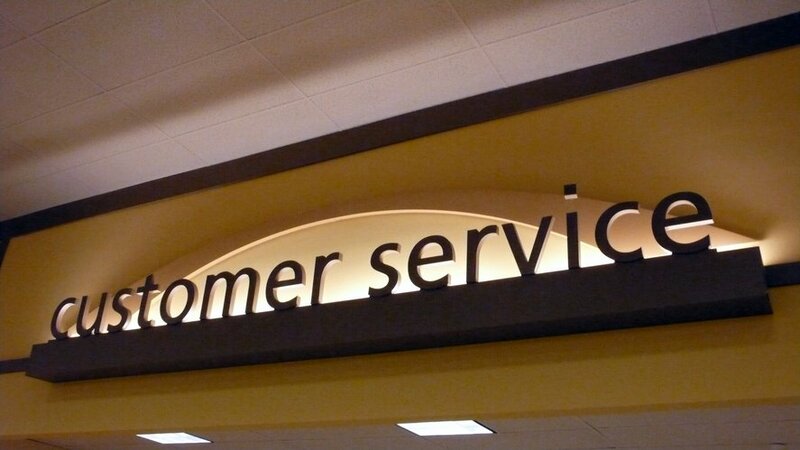 If your service is wonderful, customers tell 15 people. And there’s a positive halo effect on staff too; it builds motivation and productivity. People like working for companies that they feel good about and it shows. Of course you need to have a good product or service to start with. Assuming that’s in place, here are the best ways to keep customers and keep them coming back. Anticipate problems by having a better understanding of your customers. Talk to them. Conduct surveys. Ask customers what matters to them and how you could do better. And if you do see a problem or a delay on the horizon, let customers know and keep communicating. Work with customers, they will appreciate it and you’ll start to feel like a partner, not just a supplier. How available is your business if customers have a problem? Be upfront about ‘delivering satisfaction’ and what customers can do if they’re not happy. 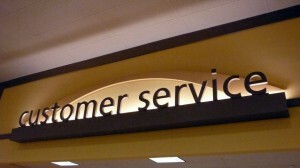 Retailers could have a sign near the till with your customer service policy. Most people will go to your website if they have a problem and clear navigation and accessible online information is another good sign that you are customer focused. Websites could include FAQs, a customer forum or a quick way of getting in touch. Being able to speak to a real person on the phone makes all the difference for 46% of customers. Depending on the size and scale of your business that could be anything from a staffed phone service to a swift call or meeting with the business owner. Strong customer relationships are the key to success and profitability, according to the Institute of Customer Service. What can you do to improve relationships with your customers? Speed of response matters to customers. Deal with mistakes as quickly as you can: fix it, refund or replace. If you are prompt, respectful and apologetic you’ll gain real loyalty and your integrity will encourage that customer to return in future. Dissatisfied customers who’ve been turned around often turn out to be your very best ambassadors. Remember: Without customers you have no business. You have little to lose by treating customers well and a great deal to gain.